Happy Post Holidays, not a bad time of the year, the way I see it. 1) What is your current feeding routine, i.e. 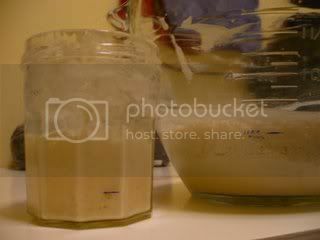 ratio of starter to flour to water, and every how often (12 hrs) and at what temperature (75-80F)? 2) What type of flour are you using for the feeding? Also, what motivated you to post your concerns? Have you seen a change in the activity or some other change that makes you think it's not working right? Does the bread come out OK, or is there a problem with raising the loaves, too? I hope you can withstand being inundated with questions. Yes, time to turn our attention to winter in earnest. Ten below yesterday morning, six below today, and ice crystals on your eyelashes. I hope I never get too old to enjoy it, that's what. I bet Montana was bracing--your Christmas in a mountain cabin sounds positively idyllic. On the counter if the house is warmish (+65) and in the oven with the light on if room temp is very cool. The picture above is representative of how it looks after a warm eight hour rise--already starting to fall. I never get those jarsful of big bubbles and lots of froth. Now for the hard question--what prompted my concern. But I'd like to know for sure what's going on. This levain is for the Pain de Campagne Weavershouse posted a while ago. I'm trying to decide whether to risk it without adding yeast, it is only one loaf's worth really. I might as well, it'll teach me something for better or worse. Christmas in the MT cabin was idyllic, except for the date. We were stuck in Denver and Salt Lake due to various weather and UA reservation system problems and didn't arrive until 12/26. So, we had Christmas eve on 12/26 and Christmas on 12/27. It didn't make much difference, once we were there, but the trip there was a bit of a hassle. Skiing was good. I made some bread in the MT cabin using a sourdough starter I left in the refrigerator this past summer marked, "Sourdough Starter: NEVER THROW OUT." I poured off a little hooch, fed it at noon when we arrived on 12/26, again at midnight, and had bread made by midnight on 12/27. The starter had risen well by the morning of 12/27, so I made some "one-step" breads, one whole wheat, the other a VTSD-like white SD w/5%/10% of whole rye/whole wheat in it - all Wheat Montana flour that are excellent products. If the picture you show for the starter is marked with the original level, i.e. it is rising by about 3x before collapsing, then I think it must be OK. It should rise by double in about 5 hours at 78F fed 5:22:25, if it's similar to my starters. It would be even more ripe if fed 10:22:25, of course. Mine would also have peaked and be collapsing after 8 hours with that feeding ratio and temperature. A total rise of 3x or a little more would be pretty typical for AP flour, too. So, unless I'm misinterpreting your pictures and descriptions, the starter seems fine to me. A paste starter fed 5:22:25 will probably not have any froth. At the 8 hour point it probably would have lots of good sized bubbles internally if you take a spoon and stir into it to see the internal structure. It should also probably still have a fairly strong gluten structure after 8 hours and still be somewhat resistant to stirring or pouring and be fairly sticky and hard to clean out of the jar. However, at 78F with AP flour, especially if you used more like 10g of starter in 22g,25g of water,flour, it's possible it would have already collapsed a bit more than I'm used to and turned to a more liquid consistency. The KA organic AP should be fairly strong, though, and would be a very good choice for feeding the starter. Somewhere between 7 and 12 hours, I would expect the aroma to intensify, which is another indication of the activity. Assuming the starter is healthy, then I am wondering what the recipe is for the levain, i.e. amount of starter, flour, water, any other ingredients, type of flour, and the temperature. 50g starter, 175g tepid water, 135g ap flour, that's the levain. It spent the night in my oven with the light on, I ruined my only thermometer a while ago but it used to read in the high seventies in that environment. I haven't been timing my starter but it always seems pretty robust eventually, and particularly if I keep it warm, plus I've been feeding it twice a day religiously. The line in the picture is the original level. While I've got you here, is there any benefit to going from 10g to 5g when feeding starter? You've mentioned that in the past and therefore feel as though I 'should' but wonder why. I assumed it would make the starter stronger but couldn't quite see how. My levain really should look better than it does, correct? Christmas wouldn't be Christmas without some sort of to-do. Your kids need stories to tell their kids one day. Your story about ancient neglected starter that springs to life within a day makes me, um, pull out my hair and gnash my teeth. I've been positively pampering mine for days, it ought to worship me! I posted some ideas on the levain just after you posted this response. I read the recipe in "Local Breads", so please check my post above. I suspect the starter is very happy and maybe even worshipping at your feet. I'm betting the levain is fine too. As far as why to use 5g:22g:25g as opposed to 10g:22g:25g, it's really just a matter of timing. If your temperatures are up in the 78F region with the light on in the oven, then only 5g of starter in 22g of water and 25g of flour should be more than enough for your starter to become ripe, collapse, and become "very, very ripe (don't hassle me on this highly subjective term)". If you want it to take a little more time rising and peaking, and a little less time in the "very, very ripe and possibly weakening stage", then you can reduce the amount of starter in the feeding. In fact, only using 2.5 grams if the temperature is 78F should work fine. Letting the starter sit in very warm conditions for too long once it has fully ripened will result in the starter getting weaker. The acids build up, the food runs out, and the organisms begin to die off. Yes, the starter is very forgiving, but to maximize the strength, you want them to grow to their highest population and then feed not too long after that. Of course, you can play with the different variables other than the amount of starter. For example, using 10g of starter at a temperature of more like 68F would probably work well for a 12 hours feeding cycle. Or, you could feed using 10g of starter at 78F but feed it more like every 6-8 hours instead of every 12 hours. 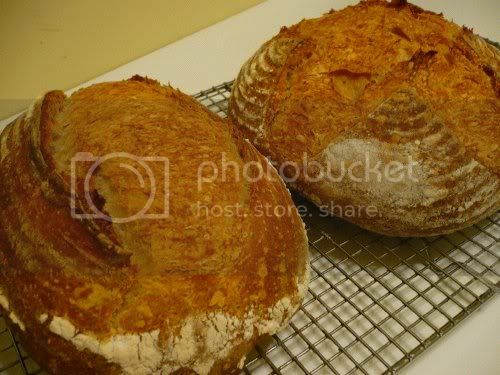 I looked up the Pain de Campagne French Country Boule in Leader's "Local Breads". The levain is very wet. By weight the hydration is 130%. You probably are using a scale, but if you happen to make it using 1:1 by volume as he suggests on the left part of the table, then it's hard to say, but to me, 3/4 cup of flour doesn't weigh 135g unless it is tightly packed. For example, if you mix 3/4 cup water w/3/4 cup of fluffed flour, the ratio could be up close to 200% hydration. When you have a levain that is a thin batter, it may froth a lot, but it probably won't rise much. It looks like you have a fairly bubbly froth in the upper 1/3 layer of your levain after 8 hours, so it might be fine, but as mentioned below, it could be so ripe it is beginning to lose some strength, depending on the temperature you are using for the rise. It may be that the levain is very, very ripe after even 8 hours, given the inoculation and a temperature of around 75-80F, if you also let it rise in your oven with the light on. He suggests 8-12 hours at 70-75F, but even at 70F, I would think the levain will be fairly ripe after only 8 hours. If you are letting it rise at 78F, I would suggest letting it rise for only about 5 hours. As above, if a fluffed volume measure was used to make the levain, then it will ripen even faster, as there would be less fermented flour in it. Also contributing to the ripeness of the levain is the fact that the paste starter is at a lower hydration than his liquid levain. To use an equivalent amount of your paste starter, you would want to use less by the ratio of "100+hydration". If your starter hydration is 22g/25g= 88% and his levain is around 130%, then you should use (100+88)/(100+130) of (your starter/his levain) to get the same inoculation as his recipe, or about 40g instead of 50g. This isn't a big deal, but it would contribute to the levain ripening faster, along with the temperature and maybe a very wet levain. Yes, I use a scale and yes, it's a pretty thin levain. It certainly was falling back already after eight hours, though it got a little more bubbly. I didn't think room temp was a good idea with our cold house and 10 below last night, and never ever considered that it could be properly ripe without height. I've noticed a few different recipes, this one and the VT sourdough for examples, that specify a very wet levain that is allowed to ferment for a period of time that seems much longer than necessary to achieve full ripeness. I imagine there is a good reason for the approach, but I don't know why. Maybe there are flavors that develop or maybe there is a change in the ratio of bacteria to yeast that contributes to a specific flavor when a very wet levain is allowed to go way past the ripe stage. The problem for me with this approach is that the levain may also be weakening over the extended period of ripening, and it will all go a lot faster at 80F as opposed to 70F. Boy I feel like an old dog--I know this is recycled news and you're ever so patient, Bill. Yes, it's trickling back to me slowly now. It seems I'm better off sticking with the 10g really, because then I can just leave it on the counter and not much fret about temps. I'm perfectly at home with the pseudo-scientific 'very, very' or 'somewhat less', as you well know, by the way. Do you still refrigerate between feedings? Oh, it's interesting what you say about the VSD, because that's another one that put me in a panic and got me adding yeast for the same reason. When I made Hamelman's pain au levain, the levain was much firmer and I carried on blithely, with excellent results. 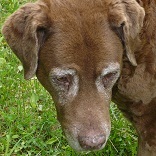 No, you shouldn't feel like an old dog. Temperature, inoculation, and consistency can interact in strange ways when it comes to levains and starters. I've been able to sort out some of the confusion with rise time models I've built and also by observing a zillion miniature test doughs rise. I've never "refrigerated between feedings". Let me explain what I mean by that. I think of starters being in one of two modes: refreshment or storage. When I am in "refreshment mode" I currently feed 5g:22g:25g every 12 hours at room temperature. I may lean toward 3g:22g:25g in warm summer kitchen temperatures, and toward 7g:22g:25g in cold kitchen room temperatures. However, that's the basic routine - all at room temperature while refreshing and roughly every 12 hours. If I know I will not be baking for several days, or if I am going to be away, I want to place the starter in "storage mode". That can be as simple as putting the starter in the refrigerator at any time, ripe or not. However, ideally the routine is as follows. I try to catch the starter when it has just peaked, and I feed it 10g:25g:50g in a separate bowl. It will be very, very thick and dry and hard to stir. I work it around the bowl with a fork or place it on a carefully cleaned slightly damp counter and knead it with well washed slightly damp hands. 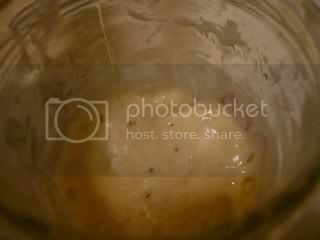 Once it has become a uniformly hydrated smooth ball of dough, I drop it in a clean jar, not touching the sides (mold can grow on the sides of the jar if a paste residue is left there for too long) and push it down gently with a clean small spatula or fork to spread it out in the bottom of the jar. I gently tighten the lid and place it in the refrigerator immediately. In storage mode, it will keep for a darn long time. I'm not sure what the upper limit is, but my Montana stash was refreshed enough to work very well in some breads in less than a day from a refrigeration period of almost 6 months. If the starter hasn't been in the refrigerator a long time, say a few days, you can just let it warm up, and it will rise, peak, and collapse, and you can then proceed with a normal refreshment mode routine. In fact, I've had no problem making bread by building a levain directly from the refrigerated starter even after 10 days of storage in the refrigerator. However, once I have removed the starter from the refrigerator, I would go through at least a couple of days of refreshment mode, making sure that all the usual flowery aroma when it is ripe and normal rising behavior is exhibited before then going back into "storage mode". Okay, don't know why I thought that you refrigerated between feedings, and that leaving it out all the time was something new. --Ah, I think it was because of refrigerating it if you wouldn't be around for feeding time, that's probably it. I went ahead and made up the dough without adding yeast, figured I'd live big for a change. It does have heaps of that lovely tangy sweet aroma I associate with sourdough. My optimism is presently boundless, thanks for the help. It looks like edh needs you. The outside tmperature went from 15F to almost 40F here in NJ over the course of the day. Maybe that has me feeling all warmed up and optimistic. browndog, first let me show you what turned up under our bird feeder today. You talked about making memories for the kids and this was just another thing happening here. Our oldest daughter was home for Chrismas and her flight to return to Minneapolis was cancelled so we were just sitting around talking when my husband yelled something about "wild boar"!! We looked and sure enough this piggy was under the bird feeder. We spent the next couple of hours keeping it out of the road while the police called animal control. By the time they came piggy left through the woods. It must have been someone's pet and animal control says it probably knew how to go home. What can I say, I hope so. So it was just another story for daughter to take back to Minn. from The Funny Farm. And now about bread. I just found this thread about your levain and I'd like to add my opinion. It's just too cold in our houses. It's 65+ here too in the house and my levain (or whatever you want to call it) just looked too weak. I almost used "yeast insurance" (loved that) the last two times I made this bread but I held out and I'm glad I did because the bread rose like crazy and baked fine. It's just too cold for it to act any other way. Even when I cover it and put it in a warm place it just doesn't act like it does when it's warm. And I see how cold it is there by you. I'm sure by now your bread has risen and maybe has already baked into beautiful loaves. Sorry I didn't see this thread sooner. Oh, I must be the luckiest girl in the world--I got a piggy on my thread!! Thank you, weavershouse! Well, at least he/she doesn't look under-fed. I hope he made it home safe & sound. Boy, not a lick of snow for you, huh? We've got a couple of feet at least, compared to last year when there was almost none. The bread's not baked yet, it's finishing up bulk (I guess, another thing that's so hard for me to tell with sourdough...) but it looks all right--nothing I would call rising like crazy, but enough to keep my hopes up with, and no regrets at present. Reminds me, you guys, of somebody else's dog or teenager--"don't worry, he'll turn out fine, really he will..."
Do I have to post pictures if it turns out nasty? I wasn't so much thinking of the pigs safety. The thought was more along the lines of how delicious it would be, but I'll reluctantly wish this one a safe return home. We've had a little snow but it's so far another mild winter here in NJ. Pictures are always good, but I'll understand if you decide not to post nasty ones. Let's hope the question is moot. Sigh, I keep hoping there's a magic something or other that makes this all easy to understand! Browndog, I had to laugh when I read your initial post this morning as I spent part of last night not sleeping but rather trying to compose the question I needed to ask about my starter! Embarrassing that I lose sleep over bread, but I was so thrown by yesterday's failure, I just couldn't help it! Reading your post and Bill's responses helped, but as you can see, I still needed more help and, bless his heart, got it! Oh Bill, browndog's going to have your carving knives taken away when she hears what you said about piggy. Actually, after my husband was convinced the pig wasn't going to eat us he clearly had a different look in his eye. edh, we got about 4" of snow after piggy left but it's going to warm up here and our snow will be gone. I love the snow, as long as I don't have to drive in it. I know what you mean about thinking about bread in the night. I told browndog not to worry, but I too have my nights. Crazy isn't it. But I dasn't say a word against him. Edh, it's dreadful the amount of stress this rustic, relaxing, simple pursuit of ours can inflict, isn't it. I actually dreamed about bread-making the other night, and sure enough it was turning out all wrong. Weavershouse, October-December are busy months for me--I packed away my starter at the end of summer and only used it once before today I think. The end of the holidays brings me some breathing room where I can take time to babysit sourdough. I just know this is going to be another sleepless night, trying to figure out which permutation of Bill's suggestions to try tomorrow! Oh well, better than worrying about something serious (not to imply that bread isn't serious!). I'm afraid that first I have to remember how to make scones, then convert them to a dairy-free version. Still less stressful than sourdough! Good luck on the loaves B-D, we're all rooting for them (and anxiously awaiting pics, if appropriate). edh, mithering, mithering! I love scones, now THAT can be a relaxing project. Aren't they approached rather like biscuits--cut in your shortening, add your liquid etc.? Thanks weavershouse for the recipe and the inspiration, Bill for the advice, all three of you for the hand-holding--tucked between the fretting I had quite an enjoyable day! Browndog, now we're none of us going to believe you when you say you're having trouble. Those are lovely! Can't wait to hear how they taste, perhaps a little bit of Willis Woods jelly on top? I got a jar for Christmas! All that worry for naught! The bread is beautiful. I'm sure you proofed them till you thought they would explode if they didn't get in the oven and still they burst their seams. Don't you just love the way they look all blown out and crusty brown? Great job. So many doubts, why don't we trust more. I like my daughters favorite saying..."Even on a good day my mind is trying to kill me" :>)) Anyway, you deserve a good nap. About that baked starter. Dang it! Looking good, I'd say. Glad it's all still working right in sourdough land. Meanwhile, I've spent all night and into the wee hours playing with a new project. I'm trying to mill my own flour. Now, you may say what's the big deal. Get a nutri-mill or whatever and some berries from your coop and make yourself a little whole wheat. I'm trying to do something more than just WW from a nutri-mill. Instead I'm trying to get fresh more refined flour out of my mill. So, I got some sieves and a sieve shaker is coming. I have a Retsel Mil-Rite stone mill and have another Meadows 8" mill coming at some point. Since I have the Retsel and some sieves, went for it by hand, shaking the livin' daylights out of those sieves for a long time - good exercise. I think I made some fresh high extraction flour for a miche by grinding coarsely, separating out about 15% of the largest stuff, and then remilling the rest more finely. The result seemed a lot like Golden Buffalo flour from Heartland Mill. I also did some whole rye and whole spelt for an SD levain that is rising right now with the Retsel mill. This is somewhat garbled and rambling I know, because it's 2am and I've just come back from the workshop after about 10 different individual cups of grain milled slightly differently each time and then hand sifting them into 4 categories each. I have 40 plastic cups on the drying rack that each had some flour in it. The neat thing is there is a soaker in the fridge and a levain on the counter that should be ready for a dough by morning. If this works, I hope to make it convenient and fast to generate any extraction of flour I would like through some series of milling, blending, and sifting. I hope it will mean that I can just keep a store of various grains and make fresh flour as I need it, even if white flour is called for. hi - could you post your experiments with the Retsel to TFL's Grains and Milling forum? There are quite a few members interested in this topic and I'm sure they'd benefit from your observations. Also, I don't think many of us own a Retsel, so that would also be a plus. I don't want to threadjack you, Browndog, but Bill please keep us posted! I have only done a little milling as our mill is a hand-powered one that requires dissassembling half the kitchen to use (only fits on one spot on the counter), but we're very interested in doing more. Of course, to make sure I follow through on that, I went and bought spelt, wheat, and kamut berries, and now I feel guilty for not immediately grinding them all. While most of my interest in the grinding is in the whole flours, it would be nice to be able to produce different extractions like you're talking about, just for the occasional lighter loaf or even, gasp, sweets! Look forward to hearing the results! Two days ago I finally bit the bullet and ordered the Golden Buffalo!! The postage is a killer. I should have ordered it in November when we were driving out to our daughter's in Texas. I could've had it delivered there for a lot less. I didn't but finally ordered it Thursday and here you go making your own. I also ordered from Heartland (the nicest people) duram flour. If you come up with a way to find the grain for that and how to grind it I'd be happy. Heartland said the duram is going up in price every day. It was $27.06 for 15 lbs. plus postage. I talked myself into trying it once to see if it's any better than the duram I buy at the Italian store. The last batch was $11.80 for 20 lbs. No shipping. If Heartlands is no fresher or different I'll be sorry I placed that order. Actually, I do expect Heartlands to be better. But you finding out how to grind our own...that would make me happy. Up grinding and posting on TFL at two in the morning and making lots of bread today...wow, where do you get the energy? If you have a source for that I'll buy it! Good luck and I'll be looking for your results. Maybe you should start a new thread. A bit of a bird's-eye view into what life must be like at the Wraith household, huh? The only one up around here at 2AM is the teenager and the mice. Thread-jack away, you guys--I'm the one who likes farm animals on board, you know, and besides, I won't feel as guilty when I do it. Milling, arrrgh. This is one bandwagon I'm sure I can resist, even though it sounds really tempting in theory, using flour as fresh as a garden tomato. If only it were as simple as a few turns in the grinder, but it sounds more complicated than panning for gold, all those sieves and little plastic cups...Bill, you must have an amazingly precise and orderly mind. Well, it looks just perfect inside too. I'm so glad to see that happening. I remember when just getting the starter to be healthy and active was the issue. There are very easy and fairly inexpensive ways to mill your own if all you want is whole wheat flour, e.g. the Nutri-Mill. In fact, it really is advantageous in a number of ways, since you get absolutely fresh WW flour when you want it with little effort, don't have to freeze flour or throw out rancid flour, and so on. However, what I'm doing is a Quixotic attempt to make old-fashioned "bolted flour" or "high extraction flour" at home in sufficient quantity and quality, and with some flexibility of flour characteristics, to make it worth doing regularly vs. just buying "Golden Buffalo". I think it will work eventually, but it's a big hassle to figure it out and also expensive for sieves, sieve shakers, trying out a couple of different mills and so on. I think you're right to avoid what I'm up to, but a Nutri-Mill might be just great for your purposes, since you are an excellent whole grains baker - seen the photos. I do love the idea of storing berries and grinding as you go, but I am also the opposite of a pack rat, and if I have to get a new thing (that isn't an animal) my jaw tends to set. I am not naturally curious about process, either, which I believe you are to a degree. However the brain concrete does occasionally fracture. I'll watch you guys for a while first. I don't blame you for being reluctant. It took me a long time, but I think Goetter and Ron and before that JMonkey had me thinking about WW and milling, and MiniOven mentioned brass sieves for sifting, and I had to go on a rampage, which I do every so often. Sometimes, I feel a little panic coming on when new stuff that can break is acquired and I have to find space for it somewhere. Nonetheless, the anticipation of a project with gadgets, engineering, a little math, and some creativity got the better of me, so this project must go on. My first loaf with all home milled and sifted flour is almost done. If it comes out right, I'm going to be very motivated to make it work. My daughter says there is no question in her mind the aroma of the dough made with the fresh flour is especially good. Wow, Bill! This sounds awesome! I can't wait to see photos and hear the results of this. From the look of the crumb your sourdough was just fine wasn't it. Is that homemade jelly? As they say, weavershouse, the first cut is the deepest. And I make the dogs go first to break trail. I knew it was n"o"ught but I thought it didn't look right. I should have checked. You have such a way with words I enjoy reading your posts. Do you write as a job or for pleasure or do you save it just for us? Lord, I 'save it just for us', weavershouse, though there may be more than one opinion as to whether or not that's a good thing, ahem...but you're a sweetie, I'm sure I've mentioned that before. edh, I'm trying to decide whether I sent you that jar of jelly you got for Christmas--or did your brother hand-deliver it? weavershouse, talking of mithering and off-topic, this business of 'naught' vs 'nought' has been enough of a puzzlement (because 'naught' looked just fine to me, so where did I get 'nought' from..?) to send me off to the dictionary. Guess what? They're both correct! FYI. From Garner's Modern American Usage. Naught; nought. These are different spellings of the same word, meaning "nothing". By convention nought--especially in Br. English--has come to signify the number zero (0). Naught is conventionally used in all nonmathematical contexts in which "nothing" is meant, usually accompanied by some form of come or go. Sometimes nought ill-advisedly appears where the conventional word would be naught-- e.g. : "But all of Henry's machinations to get a male heir came to nought [read naught]"
I know this is off the topic of bread again but have to add that my grandmother always used the word "ought" for the number zero. She never spelled it but that's what she said...ought...or was it aught? weavershouse, Uberkermit, in horse shoe sizing (yes they do come in sizes) there are aughts/oughts, single, double, triple---the 'aught' meaning zero. My little Arab unicorn wears a dainty double-ought. Heavenly doodads Browndog, that is a beautiful loaf inside and out! Now I have to get my starter back in shape; I want some of that on my counter!! Weavershouse; is it the Pain de Campagne from Hamelman's book, or is it your own version, and if so, where do I find it? 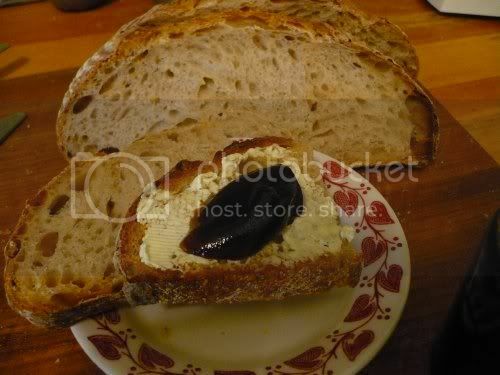 I know I am not even close to the level of sourdough that alot of you folks are, espescially with all the help Bill and JMonkey have given me on the topic of starters. But one thing I didnt hear mentioned in all of this is what kind of water are you using? A while back I think it was Bill who enlightened me to not use tap water but a bottled spring water in my starters. There was a huge difference in how my starters reacted. I was trying to use plain ol' tap water. Now I only use "Poland Springs" bottled water for my starters (since its in all the stores and easy for me to get). And my starters grow great sitting on top my fridge from a 70' degree kitchen to a 55' degree kitchen (heh, it is winter here too). Dont know if it helps, just thought I'd let you know. I think tap water may work in many if not most cases, but there are those who report problems with tap water that is chlorinated, particularly if it is a type of chlorine that will not escape if the water is left out on the counter for 24 hours, which works to remove some types of chlorine. The other problem I've encountered was with very alkaline water that comes from my well and some charcoal filters. I've had trouble getting starters to start with it. However, my Poland Spring water cooler works great, and I can use a combination of hot and cold to adjust the temperature until it's just right, too. The water has a neutral pH and is unchlorinated, so it's a good choice. TT, you're really not allowed to go AWOL anymore, just so you know. We use well water that is hopefully good for starters and for us--and you all just leave that poor little piggy alone! can't get enough of sourdough! Good day to ya'll, I've had my starter going for the last two years and I just feed it every 7-10 days, occasionally making bread. I started out using bottled water but now I use Brita filtered tap water and it seems to do as well as before. 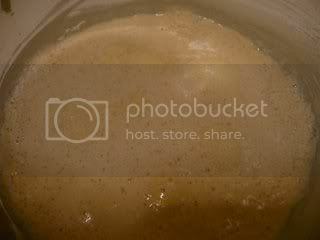 I store my starter in the fridge in a mason jar with the usual lid and band but does the lid make any difference? Should I use something with less metal or cloth or . . . ? My kitchen is a cool 65 degrees (it's winter down here in TN, too) and I have to grow the starter in the closed up oven with a bowl of hot water to keep the temp at 70-75 degrees. In summer I can leave it in the room. Send that piggy on down here -- we'll "cure" it of any problems. I don't think the lid makes much difference. It makes sense for it to be tightly enough sealed to keep the starter from drying out over a long period of time, but even a lightly screwed on lid seems to do that, from what I can tell. I left one in the fridge for 6 months recently in a ziploc screw-on lid container, and the starter was perfectly fine with a thin layer of hooch over it. I've avoided really tight lids, worrying that it might be possible for pressure to build up enough to break the container in some way, but I've never experienced any problem like that. I don't know if I need to keep the metal away from the starter or not but I do. I use a small piece of plastic wrap over the jar and screw on the lid. Actually Browndog, my Mum went up for a visit and brought a jar back that appeared in our Christmas package! In times of dearth, we have gone so far as to order a case in the mail from him! I thought we might be up in your neck of the woods in January, but time constraints have gotten in the way. Again. Someday we'll make it up there and bring along some downeast plum jam! Weavershouse, thank you for the link; as soon as it opened I remembered reading your post and thinking that I'd have to try it as soon as my starter was back from its holiday vacation. Unfortunately it doesn't seem to have appreciated the break and is in a deep sulk. Bill is bravely trying to help me work out the kinks, but I'm starting to have a bad feeling about it. It's not dead yet, but it ain't well neither! Slooow.... Ah well, sourdough is never boring is it? You all have to stop with the pig; I'm getting very close to breaking down and having eggs and bacon for breakfast! We had bacon and eggs this morning. I kept my eyes on my plate because I know browndog was sitting with Issa across from me. My husband was happy. Homemade rye was delicious with it. I lost track of the post about the source of the cider jelly. Where is it from? As long as the bacon didn't once wear a collar and answer to the name of Harriet, I suppose it's allright. It seems as edh has run off to go sledding, I'll step in and answer the jelly question. In the interest of full disclosure I work for these people, but since I am essentially lazy and would just as soon stay home and play as go pack jelly, I'm truly not looking for business. But I think it's a pretty site. What fun, we went upcountry to where there's even more snow than here and had a fun afternoon. The great thing about having kids is that you keep getting to do all the fun stuff like sliding. In the interest of full disclosure, I don't work for Willis Woods, am just hooked on their jelly. Weavershouse, if you haven't had cider jelly you really must; it tastes sort of like essence of New England. Boiled cider isn't too shabby either, I just can't get past my need for maple on my pancakes! Bill: I enjoyed reading about your all night milling 'rampage' and am anxiously awaiting to hear more about your adventures. I have been milling my whole grains for a little bit now, and have done some sifting, but on a much smaller scale. I purchased a Nutrimill and ground some whole wheat as finely as I could. I then sifted it in an extra fine mesh tamis. The sifted whole wheat was very reminiscent, I thought, of Heartland's Golden Buffalo. But I haven't ventured into anything as elaborate as you, so am anxious to hear more about your experiments. Please keep us posted even if it's only the early stages! Right, that approach was one I thought about. However, somehow I've been attracted more by stone-milling, and Goetter's comments about the Retsel he uses followed by MiniOven's brass sieve suggestions got me into "rampage mode" recently. It just sounded practical. A very helpful fellow who sells commercial milling equipment at Pleasant Hill Grain thought it should be possible to use a stone mill and sieves, possibly with a couple of stages, to create even a pastry flour. Since I mainly want bread flours, mostly high extraction, it seemed worth a try. I am working on a blog entry about my first try at milling and sifting. I didn't mean to carp on tediously about netiquette but didn't want to take your good natured tolerance of my digression on milling for granted, browndog. I finally managed to write a blog entry about the milling experiment. Thanks for hosting this party. Lots of fun.